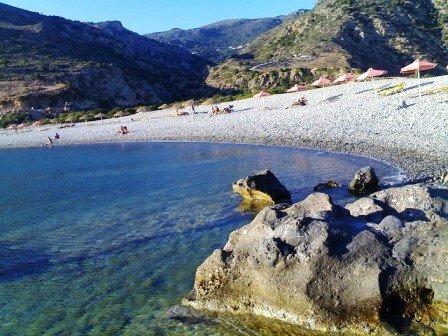 Which Crete Beach do you choose? 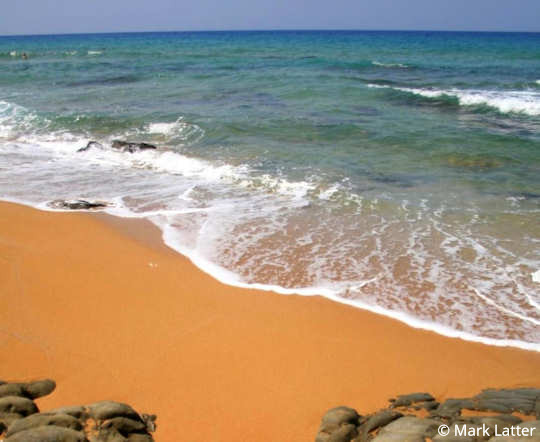 Tell us why you love your chosen beach, or tell us your favourite story from that beach. 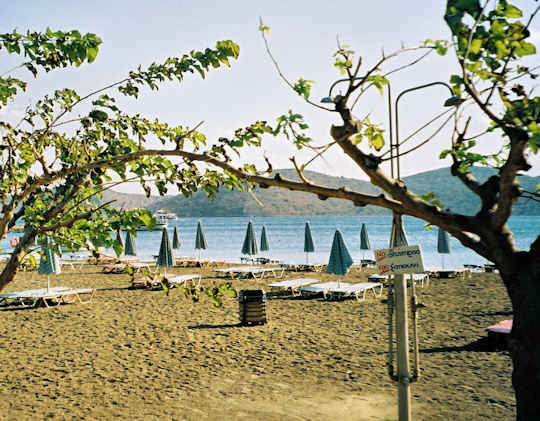 Please send us YOUR photo of your favourite beach in Kriti - photo is optional. We would love to hear from you and pop your picture up on this site - photo is optional. 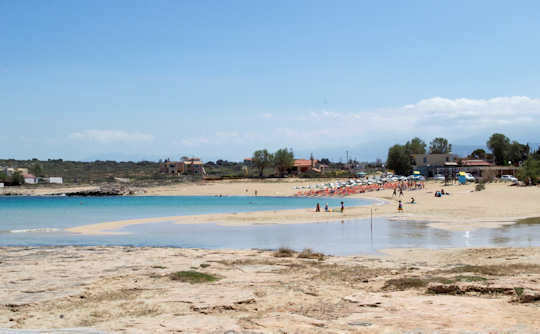 Do YOU Have A Favourite Crete Beach? 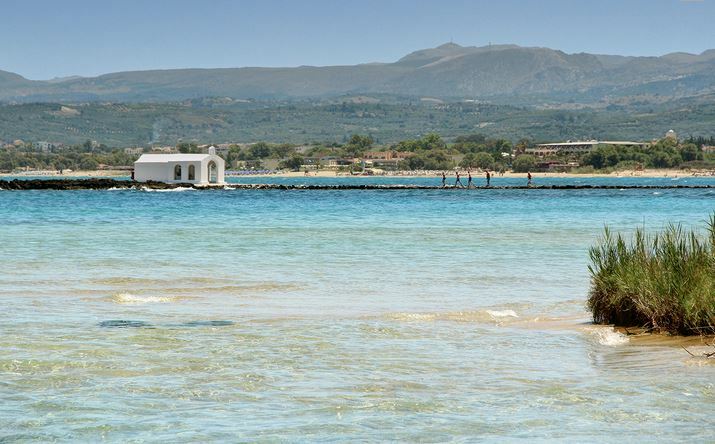 Do you have a favourite beach on the island of Crete in Greece? 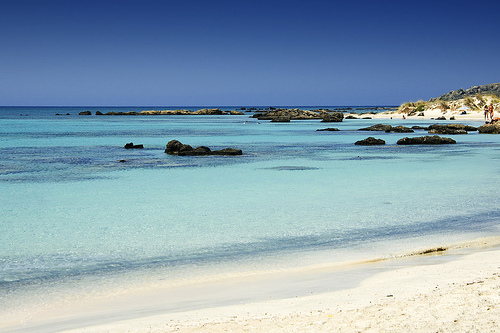 A beautiful photo of your favourite beach? Do you want to add a picture? Great! Click the button and find the picture on your computer. Select it and click on the button to choose it. 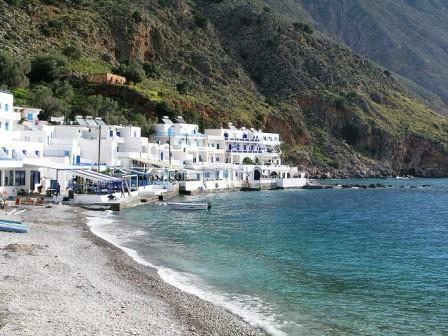 There are so many beautiful beaches in Kriti that we have only mentioned a few...there are town beaches with cafes and tavernas...there are beaches for scuba and snorkelling...at some beaches you can get a massage...or a good meal...or a drink. 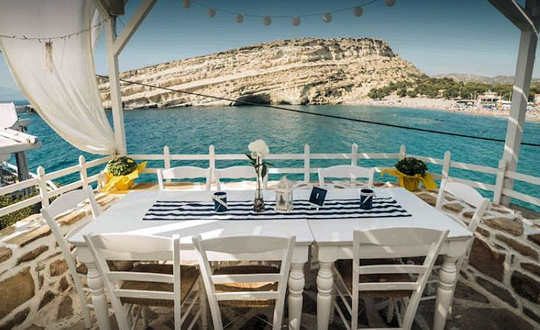 Where is your favourite Crete beach taverna? 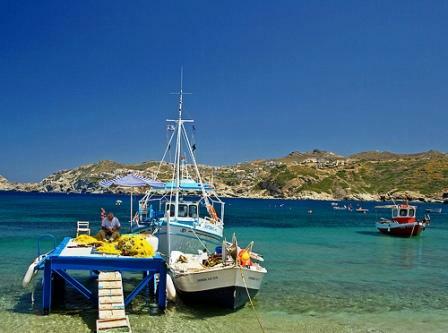 Visit the Island of Spinalonga by boat from Agios Nikolaos, with departures also from Elounda. 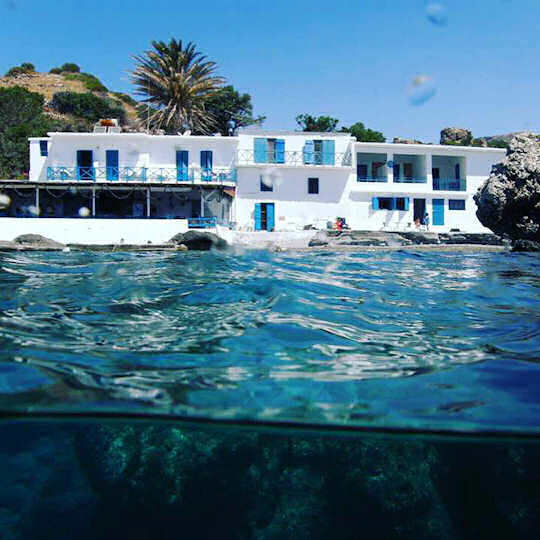 Enjoy a swim and a BBQ as well as an interpretative visit to this island full of stories. 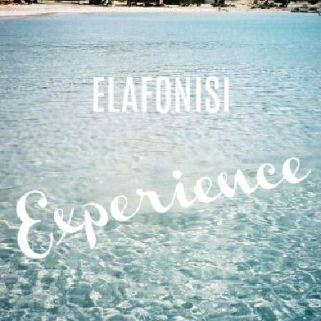 This is a 12 hour full day experience. 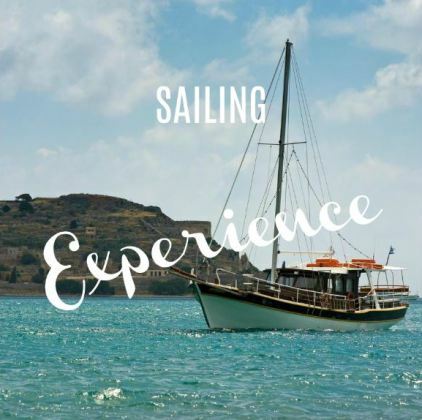 Sailing Tour from Agios Nikolaos - see Elounda Bay and Spinalonga on this 4 hour tour of the beautiful Mirabello Bay, enjoy a cool dive at Kavos Krios. The story is that one day... 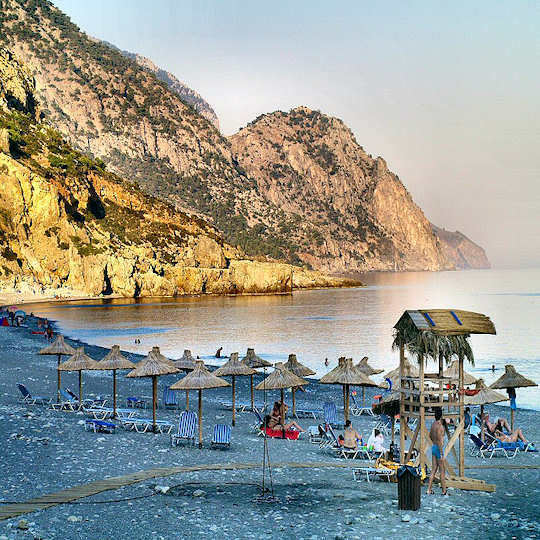 I took myself off to Crete...all by myself, and I looked at the map and read a little bit about it and decided to travel from Elafonisi Beach in the very western tip of the island - all the way to Vai Beach on the very eastern tip...and I took 10 days and I did it! Solo! I left behind the drudgery of the daily commute, the smelly passengers on the cramped train, the glare of my work computer screen, the flouro lights and the banal chat at the water cooler. 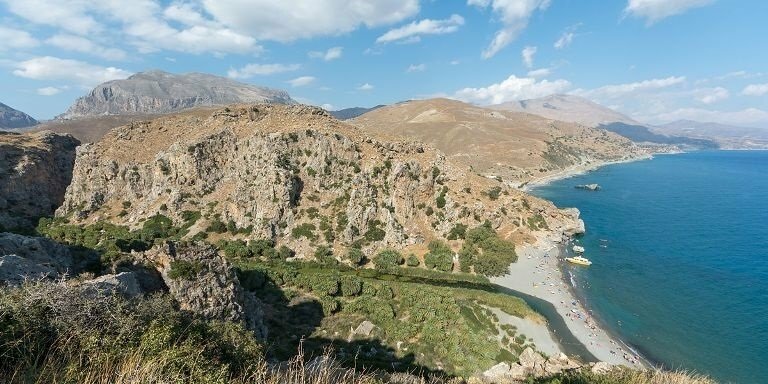 I discovered the fresh air and crisp atmosphere of Greece and Crete, the mountains, the rugged, stony, dry island, and warm-hearted people, and I discovered wonderful beaches, all over the island. Mmmm...there is nothing like looking over the sea after a hard day's travelling and relaxing at the beach! 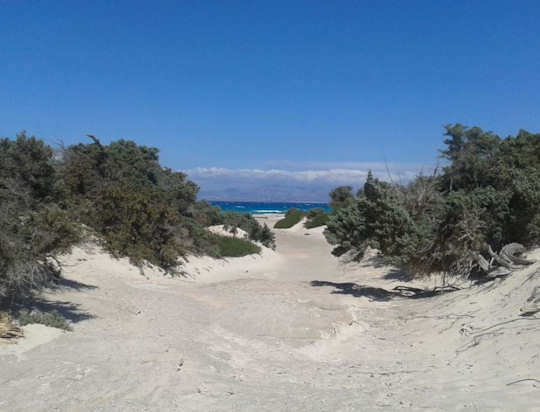 I ended up staying five months in Crete, living and working there and learning Greek, learning so much about this beautiful island and its special people...this really was the beginning of loving Crete! Now...we invite you to...tell us your story! 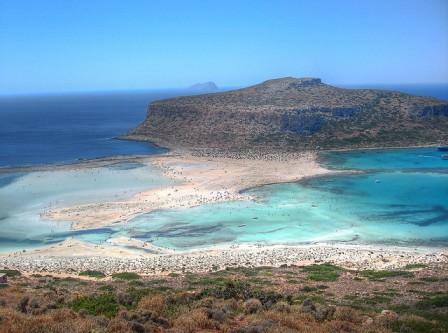 What is your favourite Crete Beach?